The elegant 'save the date" within this save the date card is only the beginning of this whimsical design. A beautiful infinity knot is displayed beneath the heading to represent your unending love, while pink spring blossoms adorn the top and bottom corners for a pop of color that is fitting for any spring wedding. 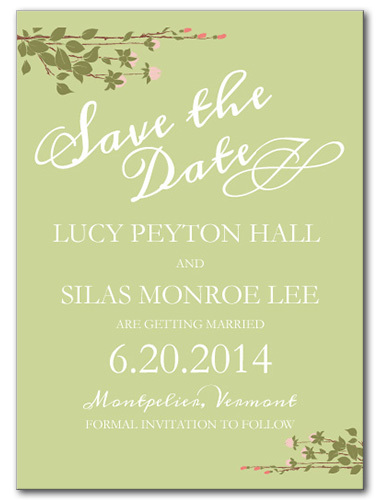 Choose from various wedding font options to really customize this design to your liking. Sweet Spring For the best experience, we recommend personalizing your stationery on a desktop computer.